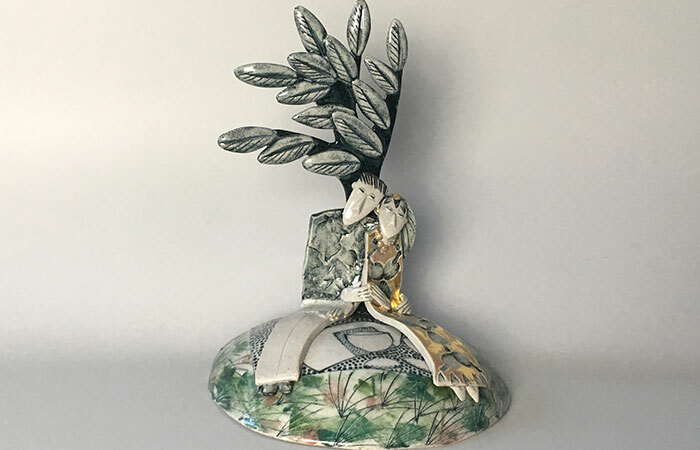 Our current exhibition at cambridge contemporary art is three-person show featuring ceramics by Helen Martino, paintings by Paine Proffitt and glass by Verity Pulford. 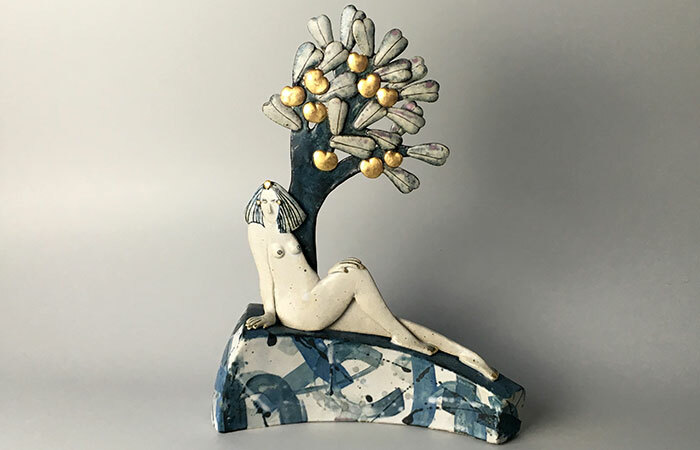 Cambridge-based artist Helen Martino creates beautiful ceramic sculptures with a strong sense of narrative. She is a master in rendering gestures and facial expressions. Helen has been a regular exhibitor at our gallery since it first opened in the 1990s and is a founding member of Cambridge Open Studios. 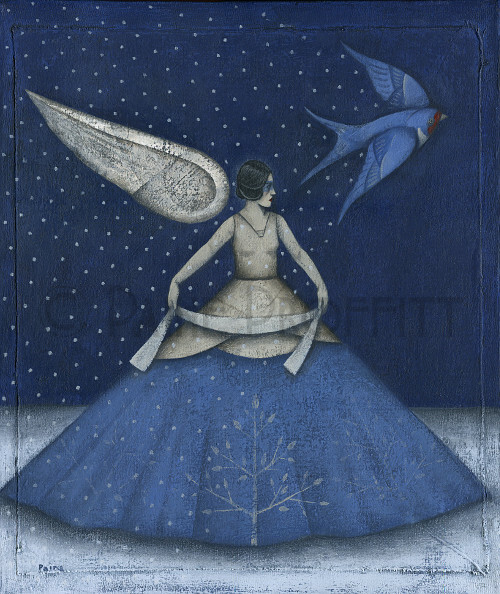 While Paine Proffitt is perhaps best known for his sports-themed work, his new paintings depict fairytale-like scenes of queenly women in stately gowns, with birds and starry skies in the background. Proffitt's richly coloured paintings are created using layers of acrylic on canvas. They are nostalgic in feel and stylistically they reference elements of cubism and surrealism. 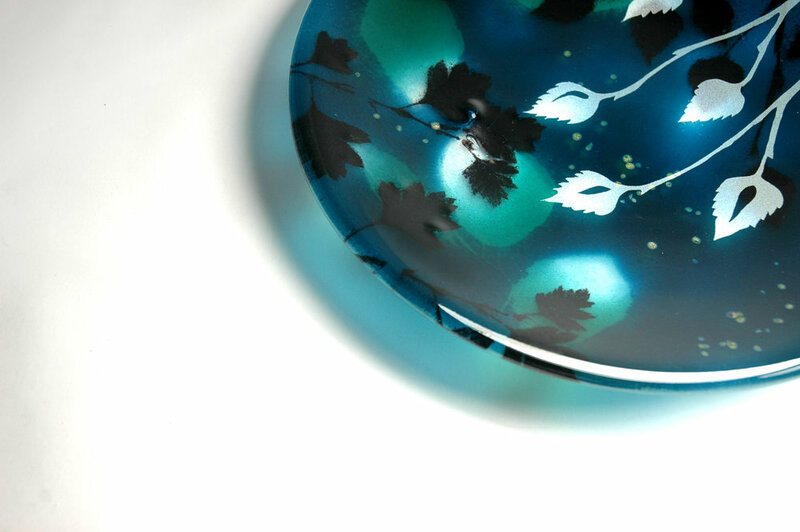 Glass artist Verity Pulford takes inspiration from the stunning countryside and wildlife around her in North Wales. She is fascinated by the ever changing light and the magical qualities this gives the plants and trees within the landscape. Using fusing, sandblasting, hand-painting and etching she tries to capture these qualities in her work.